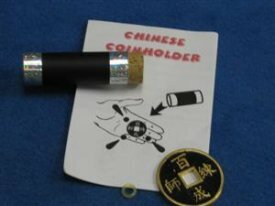 The magician shows an empty tube open at both ends and then places it on a flat wooden base. He drops a flower dart in it or sprinkles some invisible magic seed. After some magical gesture, when he lifts the tube, a large bouquet of flowers appears. It is even larger than the tube! A rapid-fire assembly with a twist! Kings appear, Kings disappear, where are they now? Where do they end up? Watch the video and you'll be amazed. Download it today! The Coin Stand is a simple and elegant way to make up to four coins disappear. 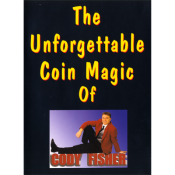 The disappearance of each coin is under full control of the performer. And, the stand is beautiful! Add class to your act with this great effect!